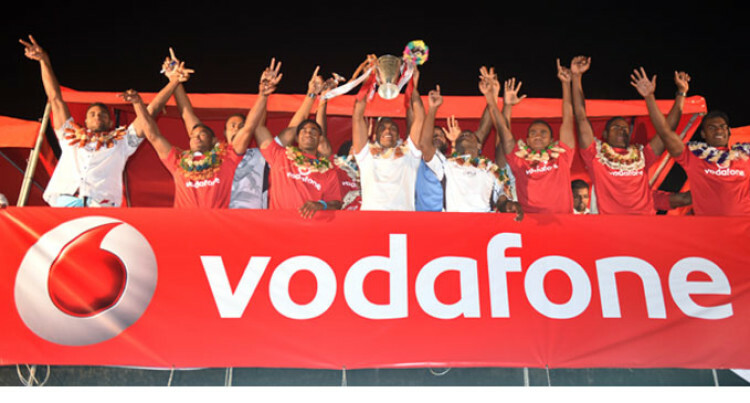 Amid the fanfare and celebration that gripped Suva’s Albert Park last night, there were some valuable lessons to learn from the Vodafone Fijian 7s side that were at the centre of the celebrations. Addressing the crowd gathered to honour the team’s qualification to the 2016 Rio Olympics and winning the 2014-2015 Sevens World Series, Ministry of Youth and Sports Permanent Secretary Josefa Sania made this point. “Today I wish to impart the lessons of capability to you from your valiant 7s heroes and the dimensions that surround them that can sum up with attributes like class, talent, attitude, skills, knowledge and strength,” he said. “Talents are our natural gifts and strengths. We, as Fijians, are not lacking in this department and I urge you to use your God-given talents well. This brings us to attitudes which represent our way of seeing as well as our ways of being. “Your skills are proficiencies, things you can do well and as the greatest agents of the games of 7s, there is no doubt that Fijians are bound to possess that skill set. Knowledge represents the things we have learned and understand. Vodafone Fijian 7s skipper Osea Kolinisau paid tribute to divine guidance and the support of the nation and the players’ respective families for getting them through the series. “First of all I’d like to thank the Lord for providing us with this opportunity for all of us to come and meet here and I have to give thanks to the fans that have been overwhelming in their support for Fiji,” he said. “Since we’ve arrived on Wednesday, we’ve been overwhelmed by the amount of people that turned out at the airport and the amount that turned out today and the people in the various villages that stopped the buses. “It gives us more of a boost to want to play for the country and try to win more for Fiji and I hope all this tremendous support will continue until we reach Rio and that opportunity for Fiji to win its first Olympic gold medal. Also addressing the crowd was Vodafone Fijian 7s team manager Ropate Kauvesi, paying tribute to head coach Ben Ryan. “We’ve pretty much been welcomed at the airport, all throughout the ride from Nadi down to Suva which normally takes us three hours. It took us 10-and-a-half hours. The capital city streets were jam-packed from 4pm with crowds gathered to greet the national team, with around 5000 people swarming Albert Park to catch a glimpse of the team and enjoy the illuminating fireworks display that marked the end of the celebrations. Meanwhile, when this edition went to press last night, the national sevens team had been hosted to dinner at the Holiday Inn with the Attorney General Aiyaz Sayed-Khaiyum, a number of Cabinet ministers, the Fiji Rugby Union board and representatives of the sponsorship consortium.